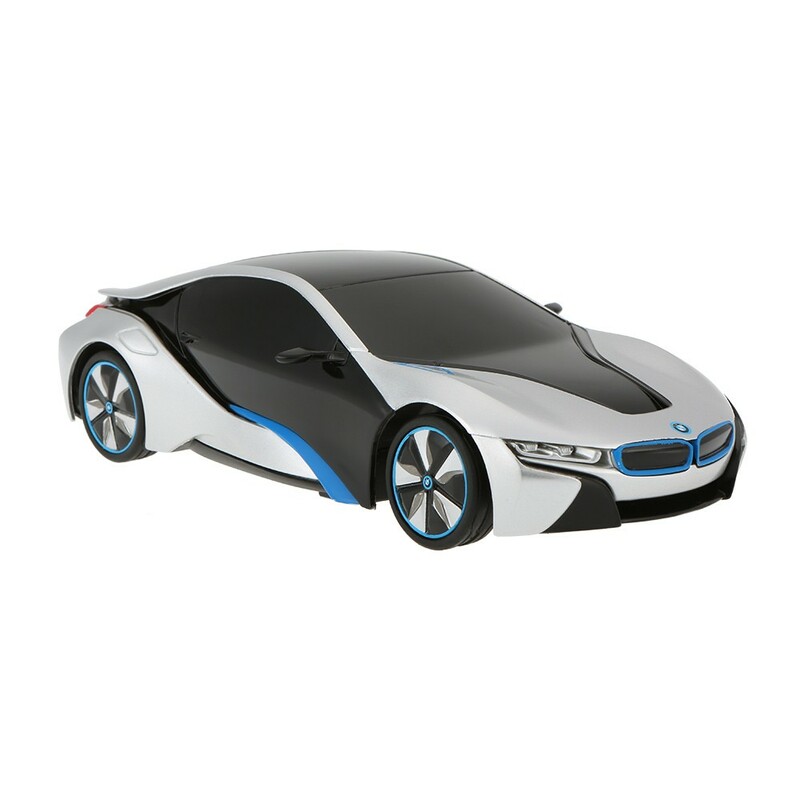 Master Box Dimension : 16" X 15" X 17"
Drive into the future with BMW's newest and sleekest model car, the i8! This concept futuristic car sets the standard of how cars should look like in the future. 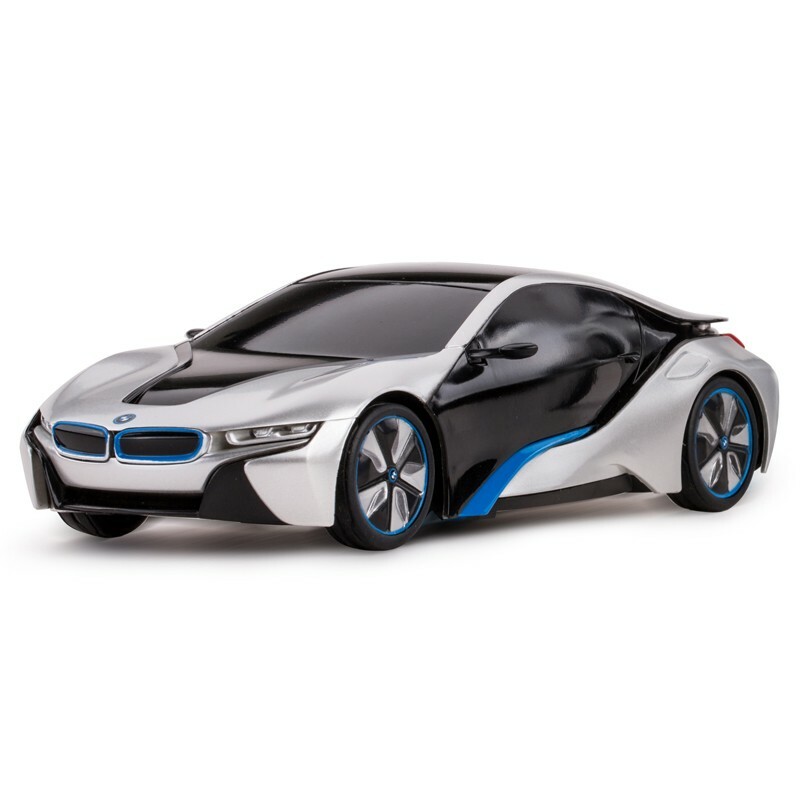 This 1:24 scale i8 is built to look exactly the same as the real ones with great details. 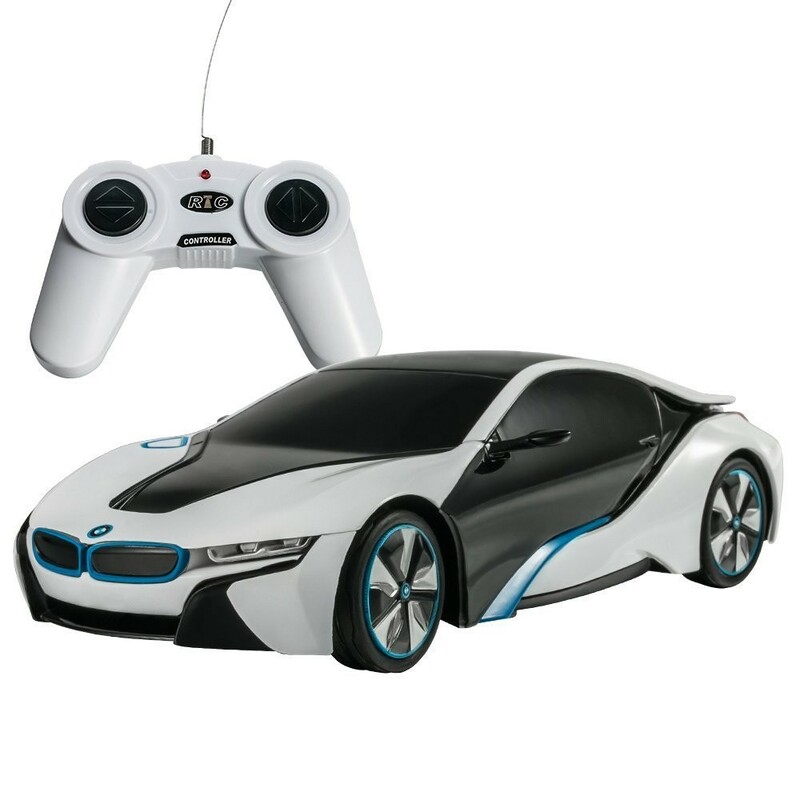 The R/C comes with a simple and easy to use remote control (foward, backward, right, and left). 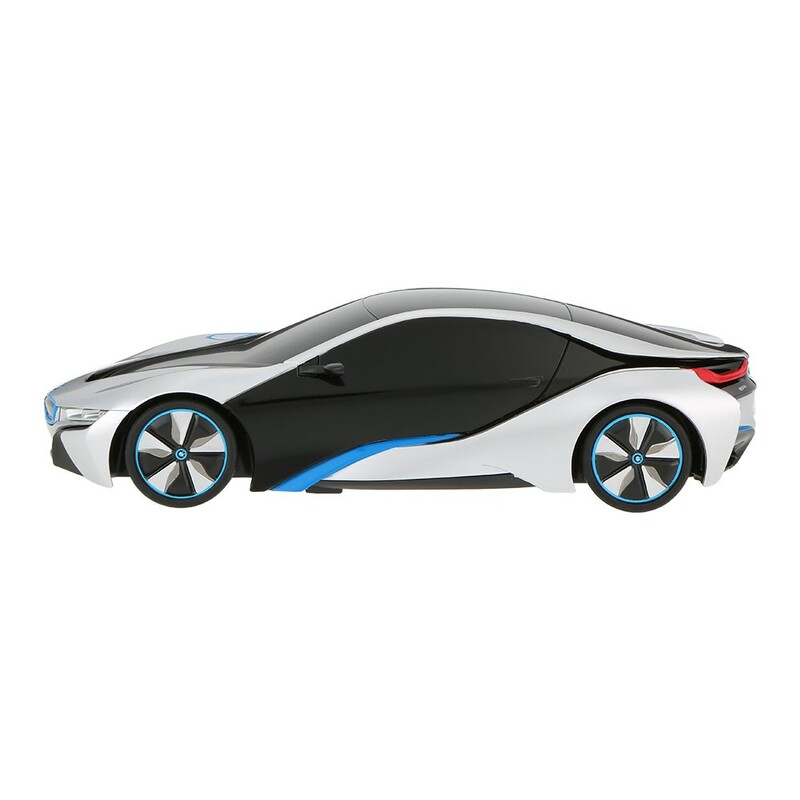 The car represents German's ingenuity and how they can keep producing these sleek and beautiful looking cars. 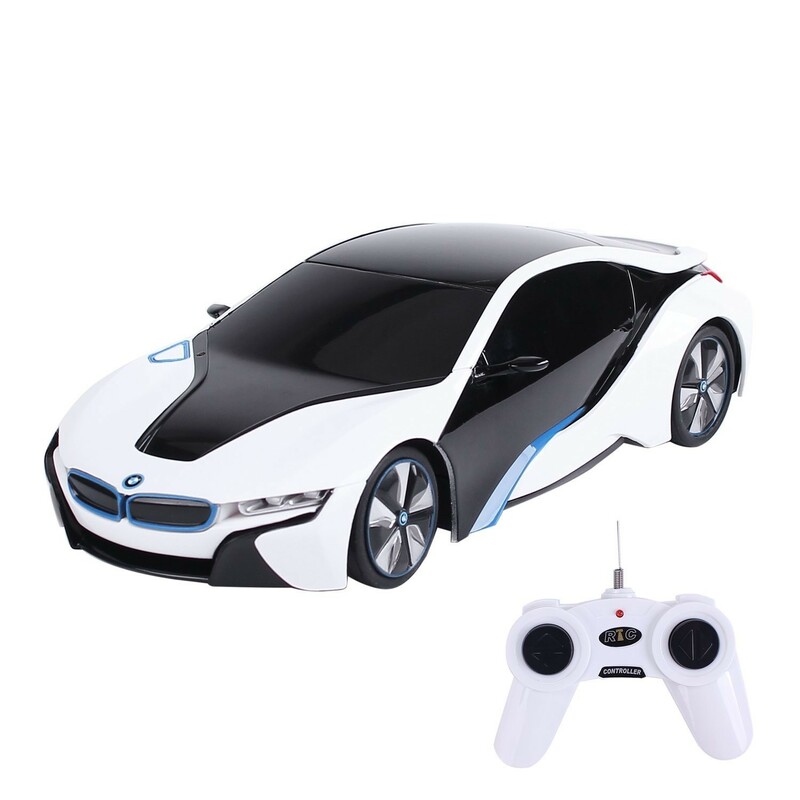 Remote Control can go forward, backwards, left, and right.